Afterimage optical illusions freak a lot of people out and I kind of don’t blame them. I mean, you stare at an image for a certain period of time and then you still continue to see it even after you look away from the picture. However, some people definitely think that they’re really cool optical illusions, because they give off an effect like none other. Are you ready to check out an afterimage optical illusion and see the spooky, yet intriguing effect that they can give off. Before you scroll down to check out the image, you’re going to have to follow some instructions in order to achieve the desired effect. 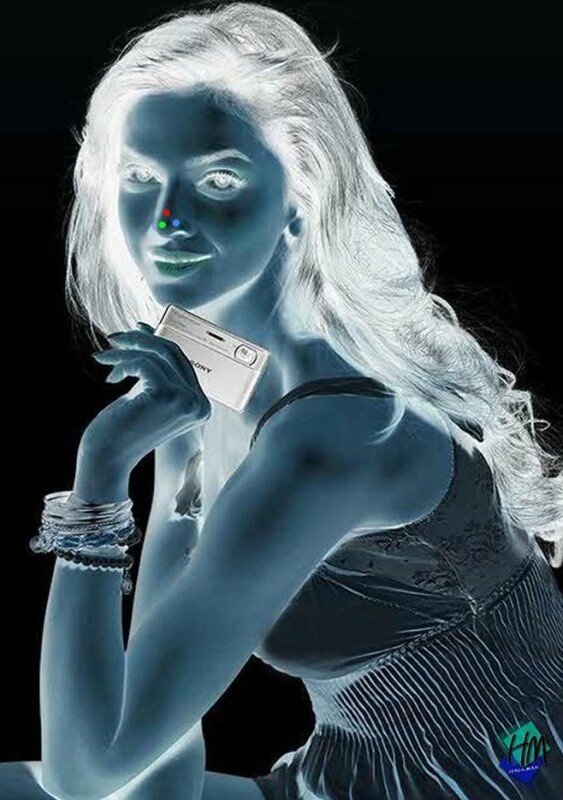 Basically, you will want to stare at the three dots on the girl’s nose in the picture below for an extended period of time. I’ve found that staring at the image for a full 60 seconds is a safe bet. After that, you can stop staring at the image and look at a solid, white-colored surface, such as a white wall or the ceiling in your house. When you do this, you’ll get the full effect. Blink your eyes repeatedly while staring at the ceiling for an even better effect. Got it? Scroll down to get started. Were you able to achieve the effect? If not, you may want to try staring at the image again for a longer period of time. Remember to stay focused on the image and don’t move your eyes away from it or else you may not achieve the effect. If you like this trippy optical illusion, you should rate this post and let us know how you feel about it. Also, feel free to share this post with your friends, as I’m sure they’ll enjoy it, as well. Freaky and cool in the same time. Didn’t know my brain has this photography processing function (transform negative images to normal). Credit card? No, a small digital camera. This has been my favorite so far and I’ve had your site on my homepage for years! Very trippy. I kept seeing it every time I looked at a white surface for along time. Cool illusion. I was able to see it easily after staring. It’s not a credit card in the model’s hand, though. This is a Sony digital camera, and even says SONY clearly in the picture. I think it’s a Sony Cyber-shot T700, but am not positive. Still a cool image. Thanks. Nifty after image effect. Always like these. I just tried it again and I got a bit of a blur of a girl, but I still can’t tell who it is! Very effective, crystal clarity – possibly worked so well from remaining unblinking and as still as possible. Well now, that is just really too cool! Love it! !